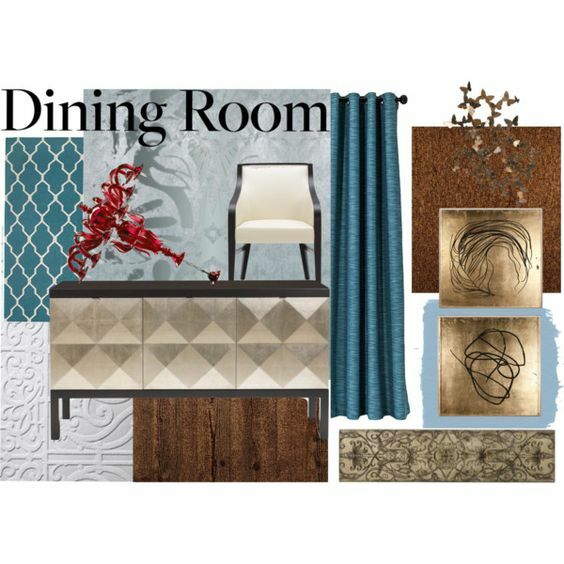 Today's mood: formal dining room in shades of blue, dark brown, gold and - for a little twist - bright sparkling red. Enjoy! How to make a black and white interior alive?